67 Beaches Resort Turks & Caicos Islands Providenciales 2007 pallet, bay, lopro,and oyster 205 designed for snorkeling for Beaches clients. Dive site on north side of pier for dive shop. 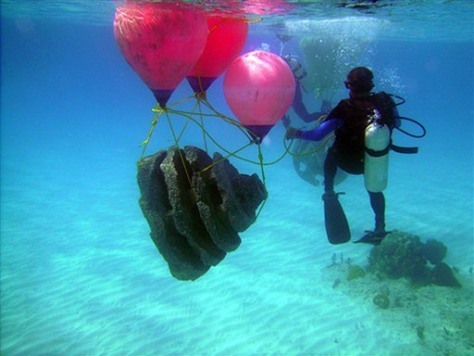 Coral propagation perfomed by RBF coral team. 71 DEMA Junior Park Warden Turks & Caicos Islands Providenciales 2012 minibay and lopro 4 hands on educational kids program on artificial reefs that has been on going on island.